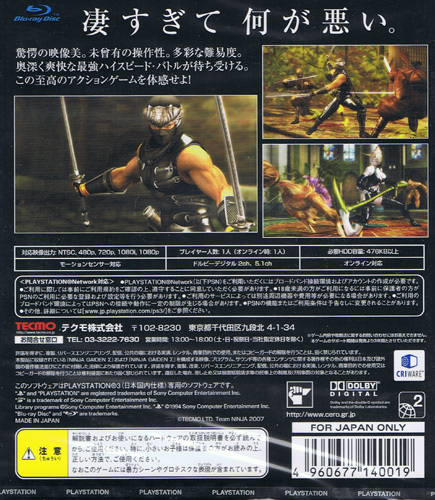 Based on the X Box release Ninja Gaiden Black, Tecmo seems to have taken influence from Hong Kong action movies, Onimusha, the speed of the PS2 Shinobi and the raw power of the PS3 to create an intense action title. Water and fire effects are stunning as our masked one sprints over the waters surface or slices through foes entombed in burning buildings. Combos doesnt really go far enough as opponents are more dissected in air with a samurai sword. 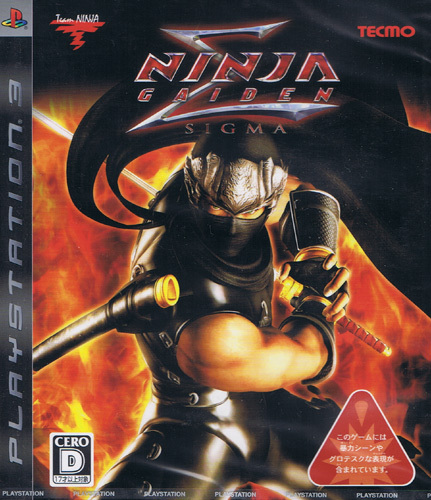 Yet quick reflexes are a requisite with some enemies using more modern weapons than the traditional ninja. Puts back the fear into the word boss. Brand new. Comes with Official Guide Booklet, though it is dog eared.